Are you having trouble finding the perfect baby shower gift? If so, you have landed on the right spot! Nutcracker Sweet Gift Baskets assembles the best baby shower gift basket, each including multiple surprises for the new mommy! 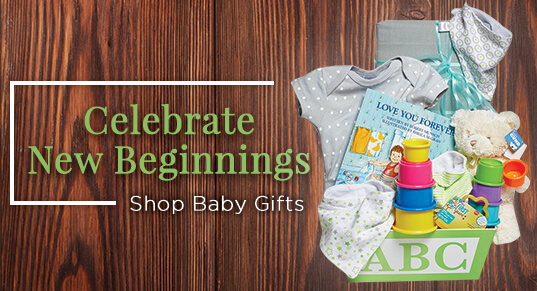 Surprise the new arrival with tons of toys, clothes, and more when they say hello to the world. We have lots of handmade gift baskets ready to go for the bundle of joy on the way! Wrapped beautifully with a bow the expecting mom will be thoroughly impressed and full of joy. Recipients will find premium quality products for their baby such as adorable and fluffy plush toys like Gund’s Philbin Bear, cuddly Jellycat toy, fun and chewable Sophie the Giraffe, adorable and sweet Curious George stuffies. 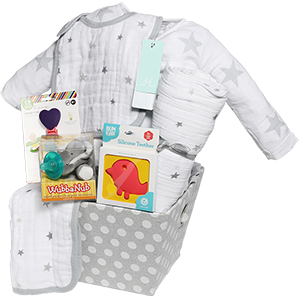 We are sure to include the highest quality baby essentials, such as sleepers, bibs, socks, onesies, towels and MORE! Along with booties, we provide customers with the wonderful option of adding-on adorable Olibaby shoes, personalized name room decor, personalized baby ribbon and MORE. Lastly, each and every gift basket includes a adorable story time book, which include books from the Robert Munsch series or Dr. Seuss series. We ensure all items inside these bountiful baby baby baskets are suited to entertain the little one and additionally, provide mommy and baby with some bonding time before and after their arrival. We have an enormous variety of gorgeous baby shower gift baskets prepared and ready to be delivered to your recipients. 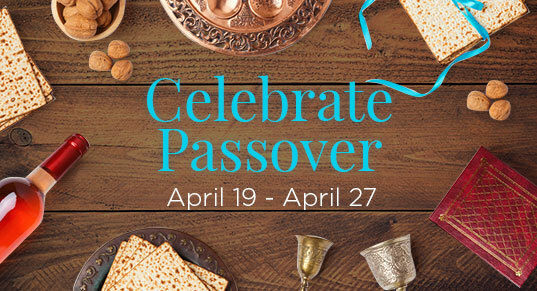 However, we are more than excited to top off our baskets with adorable add-on items. If you want to add a little something special on top of the special baby gift, we are have many options for you! We will fulfill all your requests. 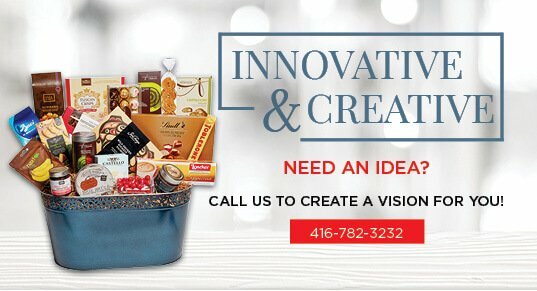 If a custom creation is needed, any one of our gift specialists will be happy to help you create your very own special creation to impress and stun the expecting mom. And to add a nice personal touch, we can assist in creating a custom ribbon with the baby’s name to tie with the baby gift. Every baby shower gift basket we assemble is made with care and perfection. We promise that the expecting mom will be awestruck when she sees the gorgeous gift filled with so many wonderful goodies. We provide lots of adorable gift basket arrangements and designs for boys, girls, and neutral gift baskets. Our baby shower gifts are also perfect centerpieces for the shower, with colourful baskets holding adorably cute and fuzzy items that mom will burst into tears of joy and happiness. Nutcracker Sweet strives to make and create impressive gifts for every occasion including baby showers. Our baby shower gifts are made and designed by our professional designers to make eyes pop and heads turn. Every baby shower gift basket is made to excite every expectant mother. Also, we design our gifts to assist the new mom and baby so they can enjoy every moment together and grab what they need from their lovely gifts when they need it. 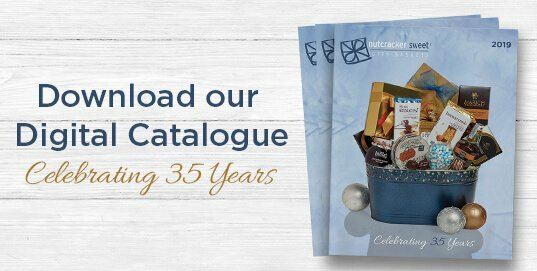 With 35 years and counting of experience making specialty gifts we will always make sure and promise you the best quality and gorgeous gift basket for the coming baby shower.